The Book of Styxhexenhammer: Now Available! The long-awaited joke of a booklet that I promised people is now here! 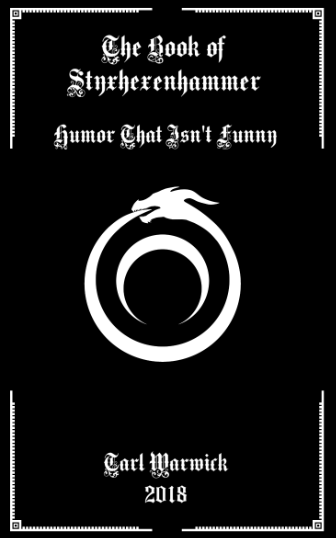 It’s a collection of random and unconnected lore related to my ICQ chat days, the rise of my Youtubing, and making cider out of dead arachnids. Fun for the whole dysfunctional family. Author styxhexenhammer666Posted on August 30, 2018 August 30, 2018 Categories UncategorizedTags books, comedy, humor, satire, styxhexenhammer, styxhexenhammer666, tarl warwickLeave a comment on The Book of Styxhexenhammer: Now Available!